At the beginning of October 2017, the Association of British Insurers (ABI) updated its code of practice regarding accident damaged repairable vehicles and those which are damaged beyond the point of repair. 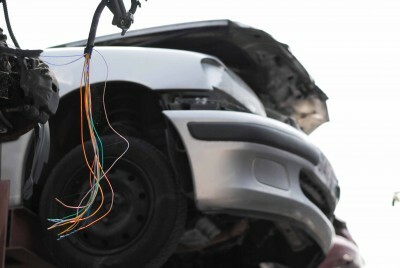 It is the first change to the code in a decade and the ABI believes it is a timely addition to “reflect the increasing complexity of newer vehicles which can make it harder for damaged cars to be safely repaired”. There are still four main categories of salvage vehicles, as stipulated by the ABI’s latest code of practice. As of 1st October 2017, insurance companies must now assess vehicles in a claim and place them in one of the following categories based on the level of damage incurred from an accident, flood, fire, theft or being used in a crime. The vehicles in the worst possible condition. Category A write-offs are not considered to be repairable after damage and should be dismantled safely and scrapped at a breakers yard. Category A cars are considered so badly damaged that their used parts must also be destroyed and not sold on for use in second-hand cars. Insurance companies will write-off vehicles with severe structural or chassis damage as Category B. This means the vehicles themselves are not deemed suitable for resale at auction and cannot ever be returned to roadworthy condition. However, unlike Category A cars, salvageable parts can be retrieved from these vehicles for resale and fitting into second-hand vehicles to prolong their working life. Accident damaged vehicles are classified Category S by insurance companies when they have experienced damage to the chassis or structure, but it is capable of being professionally repaired and resold. It is always recommended that if you are considering purchasing a Category S vehicle that you see the vehicle for your own eyes and also seek the advice of a professional mechanic who can confirm the extent of repairs required. This category is the replacement of the former Category D, which identifies that a vehicle is accident damaged but has not sustained any structural damage. The ABI opted to add to Category N that although the chassis or structure remains intact, there are still likely to be critical parts that need replacing to restore it to safe, roadworthy condition e.g. suspension, clutch or steering. It is always best to purchase a salvage vehicle from a dealer or professional salvage auctioneers such as ASM Auto Recycling. This gives you more consumer rights regarding your purchase as these companies are duty bound to provide all of the information they have about their cars. Private sellers only need to prove the vehicle is as described in their advertisement. If you’re planning to spend considerable sums of money on an accident damaged vehicle, it may be prudent to spend money on a professional accident damage inspection. These services are offered by the AA, RAC and Dekra, costing roughly £200, which could pinpoint damage that you had personally overlooked. Once you have acquired an accident damaged repairable car, it’s important to notify your car insurer that it is a Category N or S. This is essential if you don’t wish to run the risk of having any future claims dismissed. If you’re considering purchasing a salvage vehicle as an investment, at ASM Auto Recycling we offer 2,500-plus cars, vans and motorbikes for sale every week, as well as a further 1,500 vehicles suitable for parts dismantling. Keep your eyes peeled on our regularly updated auction page here.